Thank you to Vanaheim for posting the original topic. Thank you to Nethaera for translating, re-uploading the files and posting to RMParadise. Thank you to Sengoku Rance and The Spriters Resource for the characters and rips. 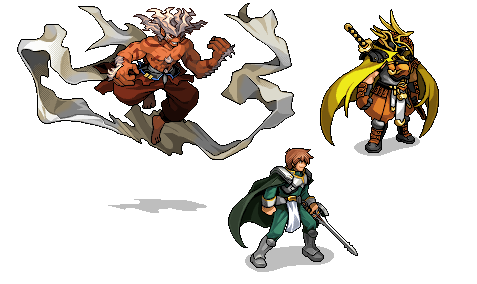 I was searching the internet and I found some resources about battlers in a cool game called Sengoku Rance, and created a pack with the battlers of this game. The Pack has almost 200 chars SBL (Sideview Battle System), or simply Battle System Side.